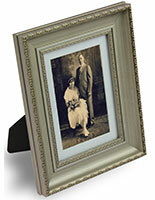 This Picture Frame is Made of Durable Plastic and will hold 8-1/2" x 11" Paper Material! This Picture Frame is a Unique Way To Display Business Information! More Photo Frames are For Sale Online! 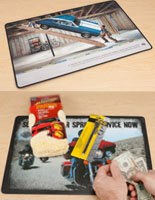 Virtually indestructible, made out of polycarbonate - Not Acrylic! This picture frame is best suited for 8.5" x 11" sheets of paper folded in half. You can effortlessly print out your own daily restaurant specials or your retail stores latest campaigns in a two column format. 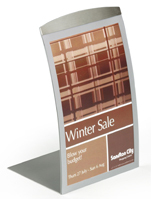 The display has a curved convex shape that creates a more noticeable display than a typical flat picture frame. 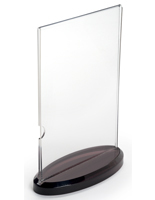 Tired of throwing away cracked acrylic menu holders? 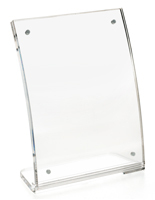 This extremely special double sided picture frame is ideal for announcing your latest sale, showcasing your restaurant's menu, or any other advertising you want to put in an appealing, virtually indestructible display. The picture frame is made out of polycarbonate plastic, and will not crack or break if falls off tables or counters. The easy to use one piece design allows for easy graphic interchanging. Merely insert your folded sign through the opening. The complete display weighs less than a pound! 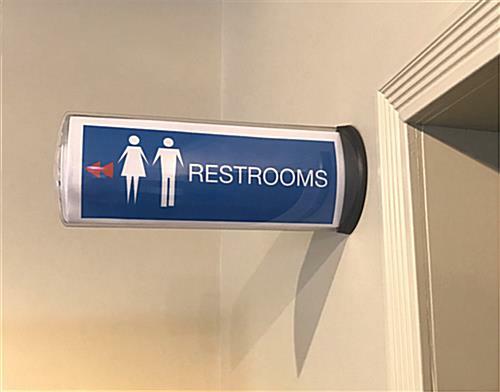 The tabletop sign holder, picture frame is outstanding for fast serve restaurants and high traffic stores. A basic familiarity with word processing programs is needed to print your own images. 4.5" x 3.0" x 1.8"